You once said Sonnett was like your favorite indie band. What do you think- Phish? Not much mainstream radio air play, big cult following, musically gifted. Phish? Nah, you don't need to be high to enjoy Sonnett gloves. R.E.M. is my favorite band - I'll go with them. Or if you want less mainstream but talented and musically gifted, we can go with The Decemberists or Okkervil River. vintagebrett wrote: Phish? Nah, you don't need to be high to enjoy Sonnett gloves. A really nice Stall & Dean ad from 1925. Interesting to see the short fingered Cobb model and the two Speaker models. 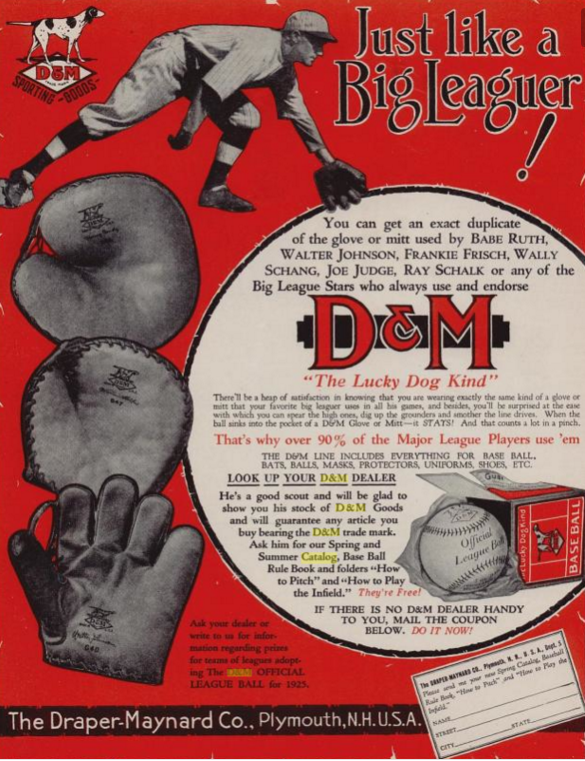 A full web three finger glove from a 1911 D&M ad. That's a rare one. Has one even surfaced yet? Here are a few that I liberated from photobucket (the wankers). Luckily Photobucket allows their library images be transferred back to the users computer in jpeg form. Sorting through them all is another story. I like the Roush KenWel ad. I haven't seen that looped web style before in an early KenWel. Pretty cool! I think this has been posted before but the images are no longer online. Pulled from the Eras Blog. 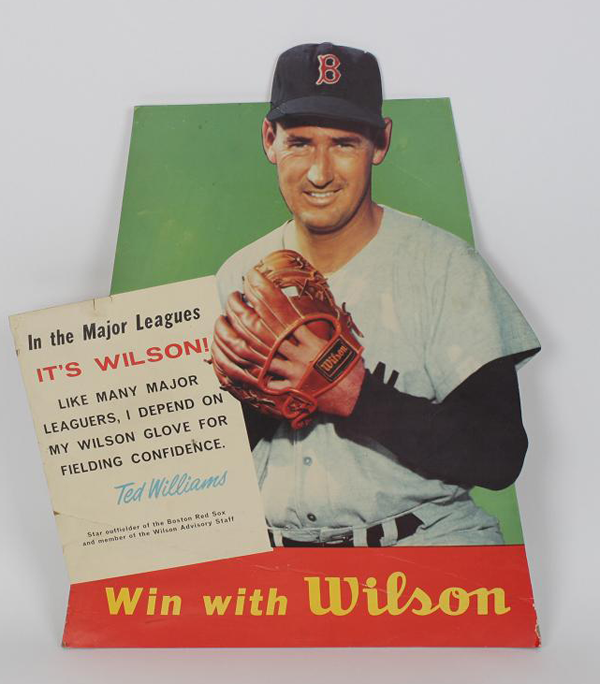 It looks more like an ad for action figures than baseball gloves. Collect them all! "This advertisement for Peach Gloves featured the stars of the day. Based on the stars featured it probably would have been around 1910. Featured in the ad are Johnny Kilng (Cubs), Frank Chance (Cubs), Jake Stahl (Red Sox), Chief Meyers (Giants), Christy Mathewson (Giants), Ed Walsh (White Sox), Ty Cobb (Tigers), Hal Chase (Highlanders), Chief Bender (A's), Honus Wagner (Pirates), Jimmy Archer (Cubs), Frank "Home Run" Baker (A's), George Gibson (Pirates), John McGraw (Giants) Connie Mack (A's), Nap Lajoie (Naps), Tris Speaker (Red Sox) and Walter Johnson (Senators)." That's one of my favorite ad/displays, just beautiful. Yeah, I'd buy one of those action figures. A rare one! 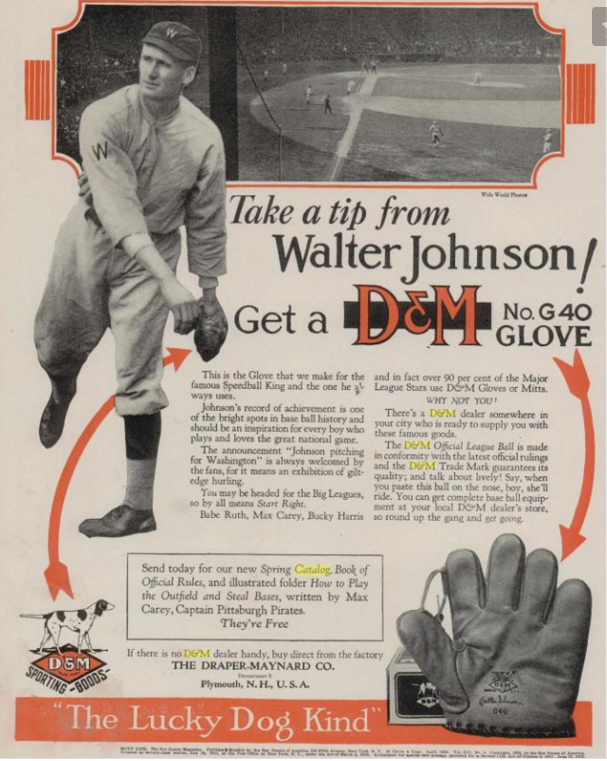 A D&M full sewn web two finger model 34 glove from 1912. A top glove at the time. It looks to have been made for only the one year before taking a hiatus until 1929 and reappearing as the G76 Johnny Evers model. 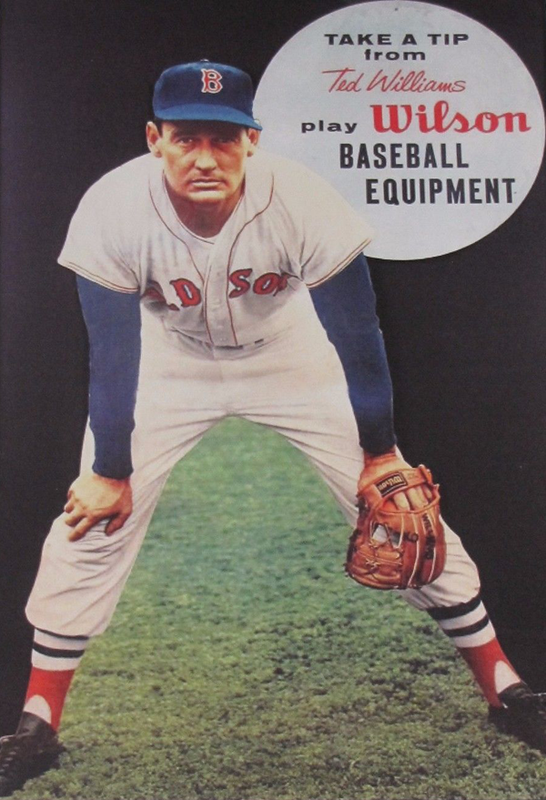 Neat to see the listing for that extremely rare glove. 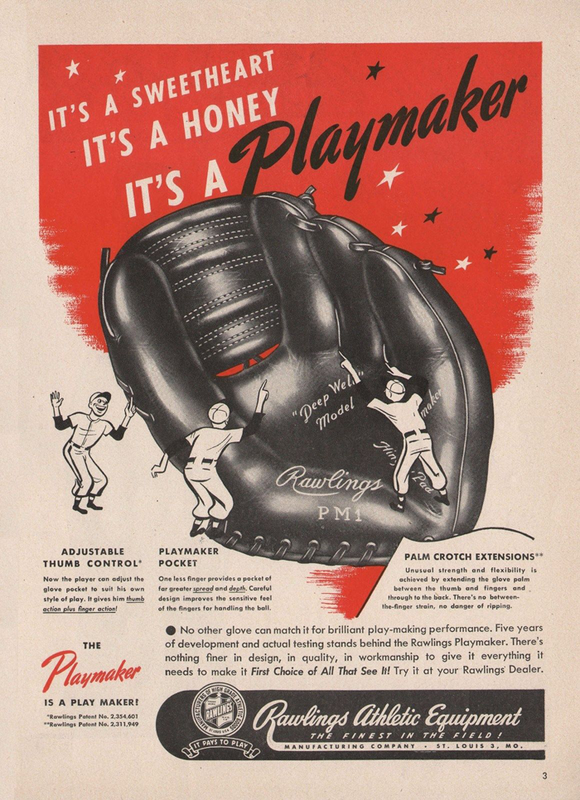 Here's an ad for the original Playmaker from 1947. Wish they showed the tag for it, I've always thought it was a cool one. 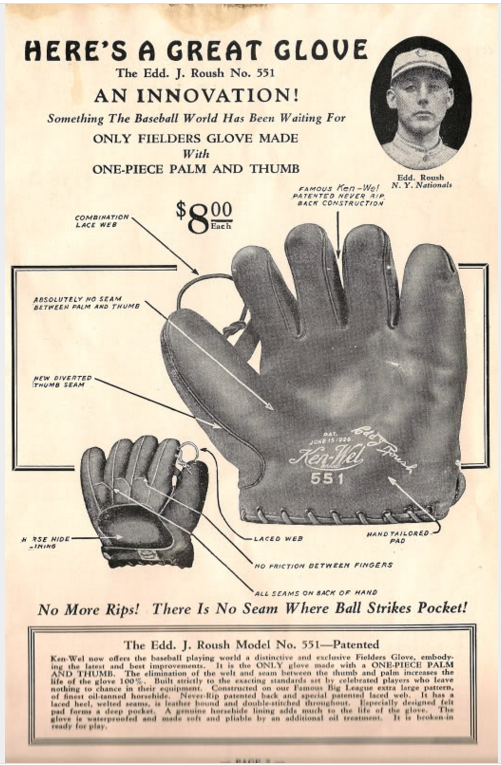 I cropped this ad so long ago that aside from the glove, I have no idea what it was for. 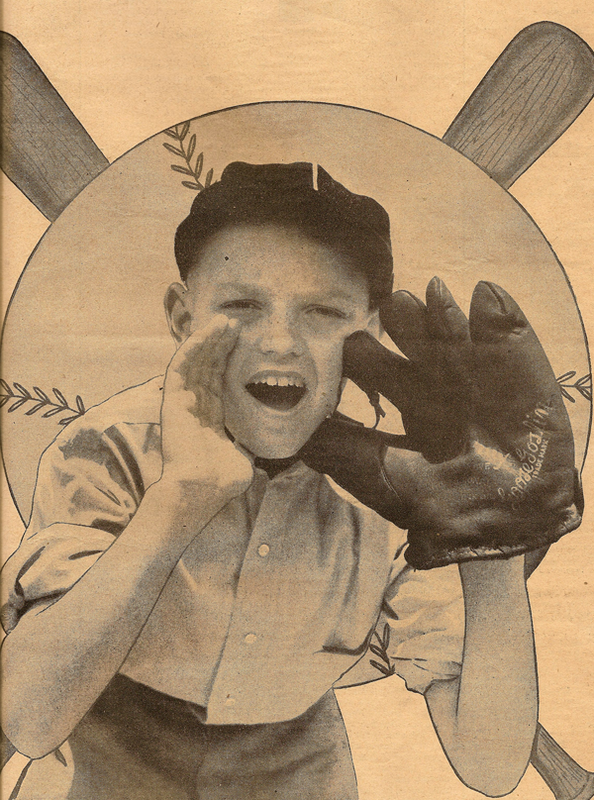 Pretty sure the kid is yelling "I got a Goose Goslin glove and you don't! Nah nah nah nah nah." Wish it was at least an 8 x 10” size but it’s only 3.25 x 5.25”. Very nice nonetheless. That's excellent. I bought this one on ebay years ago. 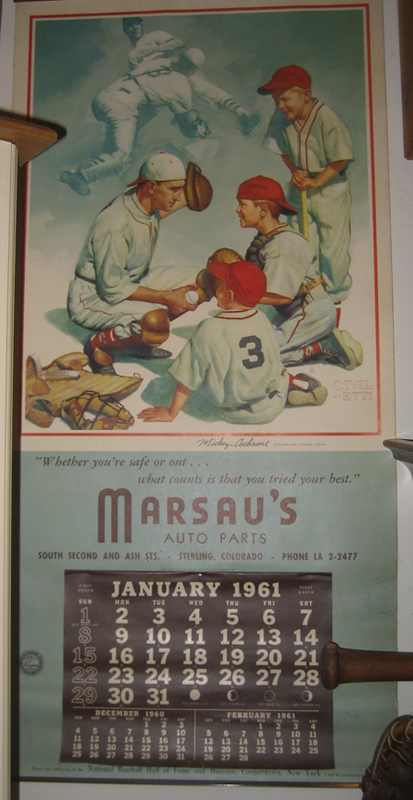 If I remember right, the seller had 4 different ones, one being a Lefty Grove. That was the one I really wanted and, of course, was outbid on.